Traveling seemed like a giant undertaking while in San Francisco. Constantly moving, checking into new lodging, and battling a language is exhausting. Moving between cities, aggressively avoiding the comfortable while hunting for real culture is a hard frame of mind to settle into. Limited time provides some relief, hope that soon enough the searching and fighting will be replaced by the comfort of a bed. But, like many of life’s greatest rewards, travel is not enjoyable in spite of these obstacles, but precisely because of them. I never needed an occasion to walk outside with no destination or approach a food stall completely helpless. 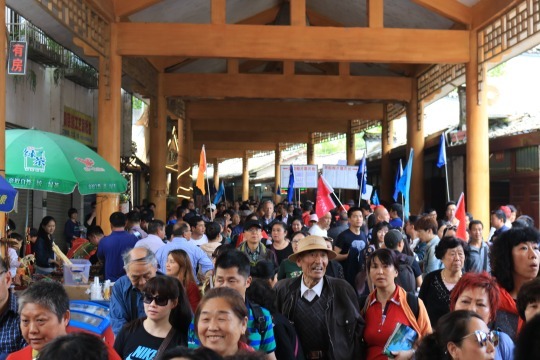 While six foot tall white men don’t blend into Chinese crowds, it was easy to observe and experience the wilderness of cities from an arm’s length, dipping my toe in the water when the moment felt right. I could always find relief in the Western stores, clothing, and food on every corner. 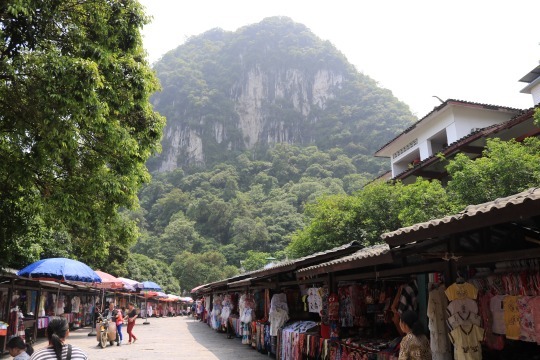 My trip to Guilin opened my eyes to a different travel battle, requiring constant attention and delivering unexpected reward. 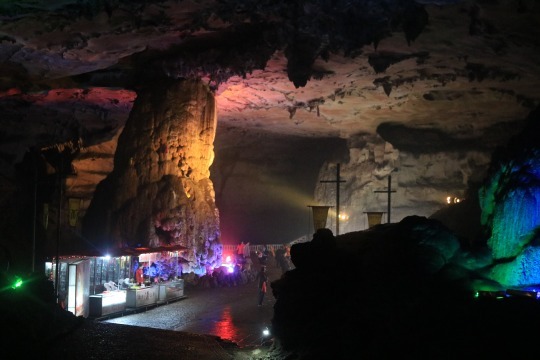 I arrived at night, unfortunately needing to wait until the following morning to experience the awesomeness of Guilin. Our shuttle bus moved rapidly through the rain, eventually dumping me and nearly a dozen Chinese travelers on a seemingly random street corner. I was relying on the hostel’s directions, viewed on a saved email I had received upon booking. Take the shuttle bus then catch a cab to the hostel. Show the driver the address and make sure he starts the meter. I hadn’t read clearly enough. Drivers approached and made offers as I masterfully haggled several cabs to move my fare from 25 to 20 RMB. As we took off and the driver disabled his meter, I quickly remembered the hostel’s advice and became agitated that I was the sucker, paying twice as much as the ride was worth. The lesson cost me less than $2, but was a valuable introduction to the cautiousness I would rely on during the upcoming days. Happily back in Western China, I paid less than $20 nightly for my own room, dropped my bags and headed for a nighttime, food seeking stroll. 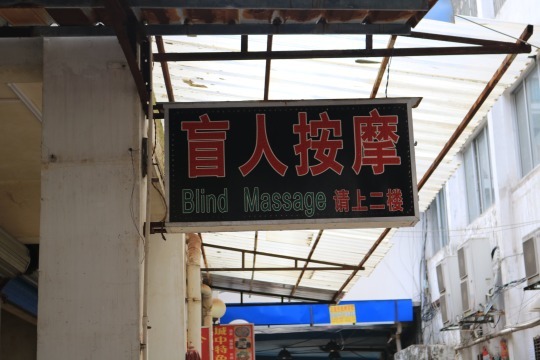 The hostel’s attendant directed me toward the center of the city, a strip of stores located on a pedestrian walkway that would provide the only food at that late hour. 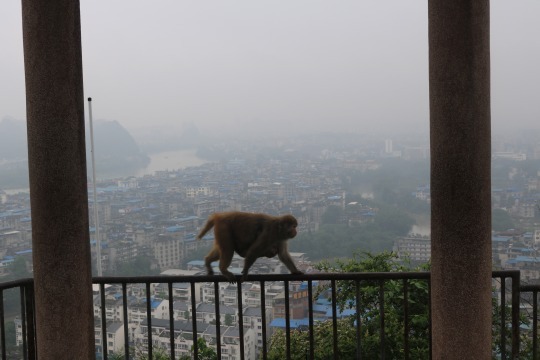 As I headed there, along the nearby shore of the Li River, I eyed the faint silhouettes of the city’s hills and planned my explorations for the following morning. Not much later than 10pm, I was surprised to see the sidewalks desolate and shops closed but continued on to the techno music that bursted out from the open electronic stores. Fighting every urge to sink into some of the Colonel’s fried chicken, I meandered around the area before coming upon a cold noodle shop manned by two smiling men. The man ahead of me ordered a cup of noodles with vegetables, cold and not in a broth. As I ordered the same ‘dish’ (snack is more fitting), the man motioned with his fingers that it would cost 9 RMB. I looked to the menu. Aside from the numerical prices, it was written entirely in Chinese. 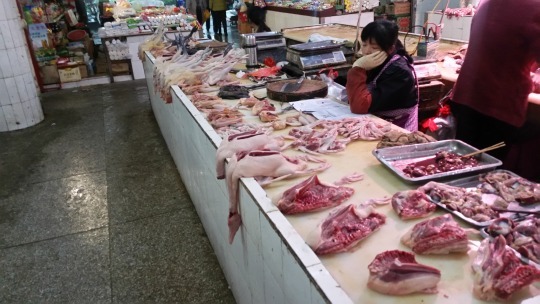 Three dishes sold for 6, 8, and 10 RMB. What was I buying? My questionable look prompted the second man to clear the air, asking for 8 and prompting a giggle from the charlatan that handed me the dish. This was going to be a different experience. I went through this same back and forth at a second noodle shop and finally made my way back to the hostel. The following morning was no less eventful. I woke to the chanting and music playing of and elementary school marching band in the school courtyard located 5 floors below my window. Before and after the school day, the nearby streets were littered with children in their school uniforms, a two piece athletic suit that I had seen elsewhere before (in different styles and colors). The music was awful, far worse than I would have expected, and made it impossible to sleep much past 8am. After the traveling and headaches from the previous day, I sought out at a nearby McDonald’s, ordered a coffee, and sat down to write. McDonald’s was loved by the Chinese but still a good bet that I could find more Westerners there than most other places in the city. Coffee isn’t ubiquitous in China as it is in the US. Many small shops don’t serve coffee so I was forced to head for established, foreign stores to get a real cup. I had convinced myself I would stick to tea during my travels, but the smell and taste of coffee brought me home and I felt compelled to escape each morning with a cup. Guilin and its surrounding region is known for steep, nearly vertical hills and the lush forests that cover the entire area. 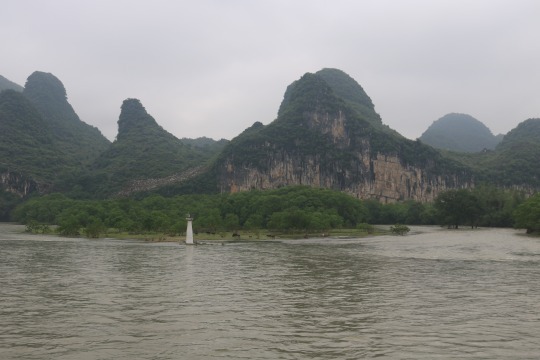 The city lies on the Li River, a popular destination for tourists who can take several hour boat rides to view the landscape. I planned to do my city sightseeing on day 1, head down the river (and back up by bus) on day 2, and leave for Hong Kong on day 3. Halfway through the first morning, I realized I didn’t have a choice because the boats had already departed. I headed for the far side of the river, across the Liberation Bridge, to a park featuring 6 hills, all of which can be seen throughout the city. As I took note of the high level of the river, overflowing some walkways that ran beside it, the rain began. For the next two hours, I waited out an absolute downpour. 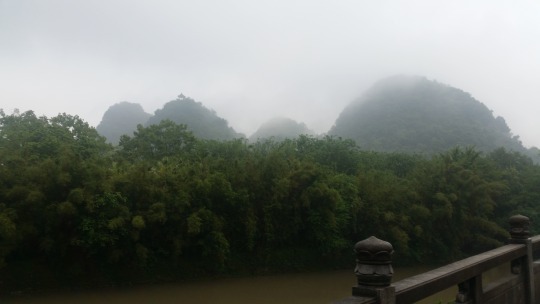 Unlike many other Chinese cities, where I had trouble feeling fresh when outside and long walks meant a dry mouth, Guilin felt like the rainforest. 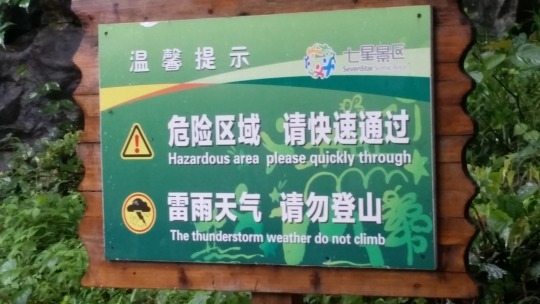 A storm didn’t need to roll through, rain clouds could rise directly from the forests. My weak umbrella forced me to hide below an awning, where a woman attempted to sell me tickets to the park. Her English was weak but passable. I explained my predicament with the rain, that I would need to wait before heading for the steep hills in the park, which she understood. I stood with her for the next ten minutes, trying to teach her a few English sayings that might help her business. She appreciated it and we agreed that a few hours later, if the weather cleared, I’d look to her again for those discount tickets. In the meantime, I hopped from awning to awning on this far side of the river. This space felt far more Chinese, I didn’t notice a single white person in the two hours I spent wandering the streets. Eventually, I found some shelter in a nearby market, where I was one of just a handful of customers during the middle of the day. Early in the afternoon the rain subsided and I headed for the hills. The park features walking paths throughout and one particular hill’s peak can be seen supporting a gazebo, my new destination. Prior to the climb, I checked out the giant cave that is also an attraction in the park. Being in the caves was spectacular, the opening in the rock could fit a jumbo jet and many of the internal rooms of the cave were also huge. My only issue was the bright, cheesy colored lights that were everywhere. I’m not sure if they have to avoid white light in there but at times it felt more like a circus than nature. As I left the caves, I found a route heading up the nearby hill, presumably leading to the gazebo I saw earlier. Within minutes of my ascent, carefully climbing the hill’s damp paths, I was alone in an intensely dense, wet rainforest. Halfway up, I noticed some movement to my left and stopped to appreciate my first wild sighting of monkeys, a complete surprise. Both seemed to jump away from the direction I was headed but as I proceeded my mind immediately recalled brief scenes from Twelve Monkeys and how defenseless I would be against a pack of angry monkeys. I paused for nearly ten minutes, contemplating my direction and whether to scrap the gazebo plans and saunter around the rest of the park. Logic told me that these animals are not carnivores and have no interest in eating me, so I quickly skirted through the parts where they had been and pressed on. Just minutes later, I approached the top of the hill and the stone structure I’d been seeking. Thankfully, two Chinese men about the same age as me were there, relieving any remaining anxiety. I smiled and turned toward the city and hills below. It was far larger than I’d realized, with housing visible for several miles in each direction. I had felt that the entire city was built for the amusement of tourists yet I had interacted with such a small fraction of the population. Sometimes it takes the right vantage point to truly put one’s insignificance into perspective. 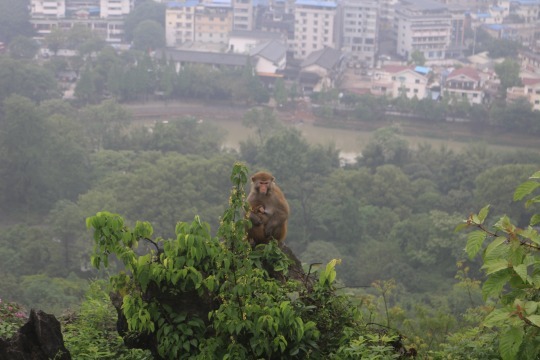 Quickly, several monkeys came over the hill and joined us on top. The two men soon departed while another arrived, as interested in the monkeys as myself and great at interacting through whistles and noises. An entire clan seemed to pass directly over the top of hill. Babies held on to their mother’s chest, toddlers happily played with one another, and the large seniors led the group forward. Of course, to keep with the Chinese theme of the trip, a twenty something Chinese couple joined us at the hill’s peak. They were dressed less functional and more stylish than the other gentleman and myself, from their graphic tees to the unnecessary sunglasses atop their heads. The proximity and sheer count of the monkeys gave each a pause, particularly the girl who almost jumped out of her shoes and had trouble keeping quiet while I did my best to shut her up. Quickly, she seemed to get the point and took out her iPhone, for what I suspected would be some photographs and videos. With a tap of a finger, the phone emanated a high pitched monkey sound. Obviously, this was seen as a threat to the group and two of the closest mature monkeys quickly ran at the railing and began to hiss at the girl. Completely shocked at her foolishness, I turned and angrily told the girl to turn off her phone, prompting surprise on the faces of the monkeys who seemed to have found an ally. She dropped the phone, giggled, and jumped back. The two monkeys settled down, likely relieved that I was equally as enraged, and the girl eventually picked up her phone and turned it off. I couldn’t believe her stupidity, but more so I was surprised how much my own reaction led to a change in the state of the monkeys, who looked straight into my eyes with curiosity when I got upset. I headed down the hill, knowing I had seen the best that park had to offer. I spent the rest of the day wandering around the streets, checking out some of the city’s stores and malls, and generally enjoying being a fly on the wall in my final stop in China. 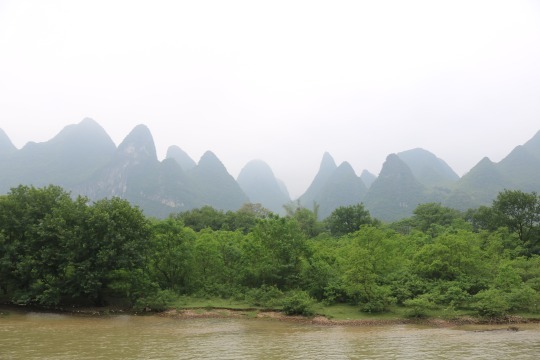 I arranged my trip down the Li River the following day, opting for the ‘Deluxe Boat’, which would include an English translation of the information and, far more important, a top deck where I could get an uninterrupted view of the landscape. The next morning, a bus arrived and brought me, along with 2 English speaking Chileans and fifty Chinese people, to the boat. It was frustrating that they still spoke Chinese nearly the entire bus and boat rides, but I ignored them and found myself a good location at the front of the boat, on the unexposed top level. Luckily, most of the tourists on my boat had not be interested in standing the entire trip and I had plenty of space to relax and take photos (unlike the non-Deluxe Chinese boat below). 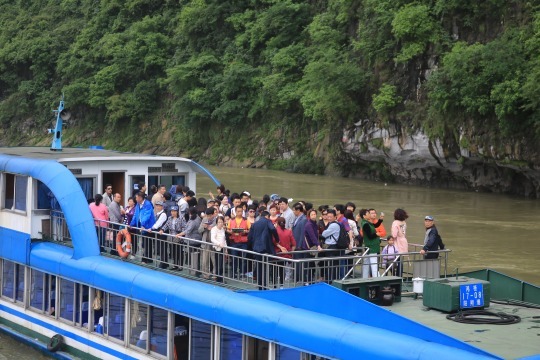 It was disappointing to be amongst other boats and not isolated, but that’s modern China. Nevertheless, the landscape’s beauty shone through with ease. 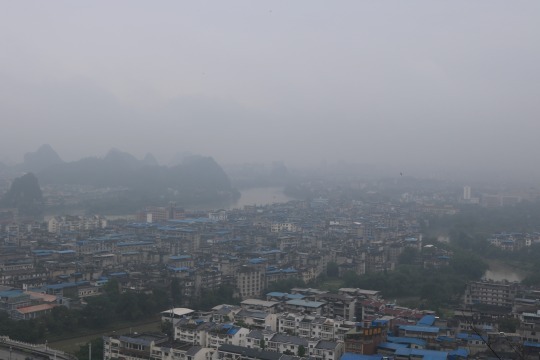 More than four hours after boarding in Guilin, we landed in Yangshuo, a small town down river. The boats all docked next to one another and passengers unloaded to head for the town. The walk along the shore was lined with merchants, aggressively pushing any product they could in our direction. Several boats docked at once, creating a level of mayhem reserved for sports games in America. I took it all in, knowing I didn’t want to purchase anything while feeling the pulse of the village. The shops continued for a long distance, eventually opening to a maze of streets selling useless goods and restaurants with international food. It took over half an hour before I could escape the giant tourist trap and found a food stall where the locals eat. The noodles were nothing special but cost $3, nearly $10 less than I would pay for an iced tea and peanuts at a restaurant in the tourist section. 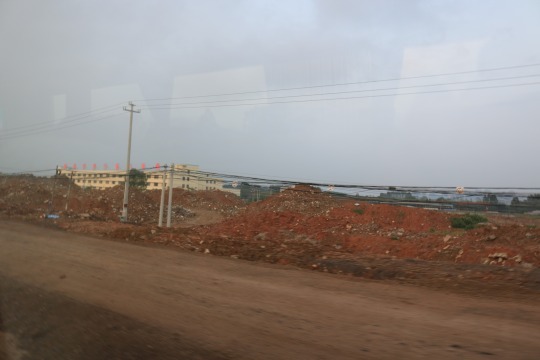 After writing for a good while, I caught the bumpy bus back to Guilin. The next morning, after a quick coffee and bite to eat, I headed for the train station. Hoards of Chinese people waited in line to get their seats and I found some relaxation knowing I wouldn’t have to deal with all of this much longer.